Geneva - The UN Secretary-General Antonio Guterres is urged to include the military coalition led by Saudi Arabia and the United Arab Emirates in the appendix to the 2019 report on children and armed conflict to be presented to the UN Security Council, says the Euro-Mediterranean Human Rights Monitor, citing the recent airstrike killing four Yemeni children by the Coalition’s Air Force on Tuesday, 26 March. The coalition must be included in the list to reflect the fact that it was involved in war crimes and other violations, including by funding and direct participation in hostilities through air strikes and ground forces deployed in different parts of Yemen. At least seven civilians, including four children, were killed and eight others seriously injured on Tuesday by an airstrike by Saudi-UAE fighter jets near the Kataf rural hospital, 100 km from the northwestern city of Saada, according to confirmed reports. Testimonies of eyewitnesses confirmed that an airstrike hit a petrol station near the hospital, which is supported by UK-based Save the Children Fund, killing and wounding several people, while two of the victims are still missing. Among those targeted were health workers and security guards. The horrific attack comes as part of a series of violations committed by the parties to the conflict in Yemen, particularly the Saudi-led coalition forces, said Sarah Pritchett, Euro-Med’s spokeswoman, condemning the targeting of the civilian hospital and the killing of a number of innocent children in a flagrant violation of their right to life. According to statistics from the World Health Organization, about 10,000 Yemenis have been killed since the beginning of the Saudi-led war in Yemen on 26 March 2015, while human rights activists confirm that the death toll is even much higher. According to UN statistics, some 1,400 Yemeni children have been killed by both parties to the conflict. 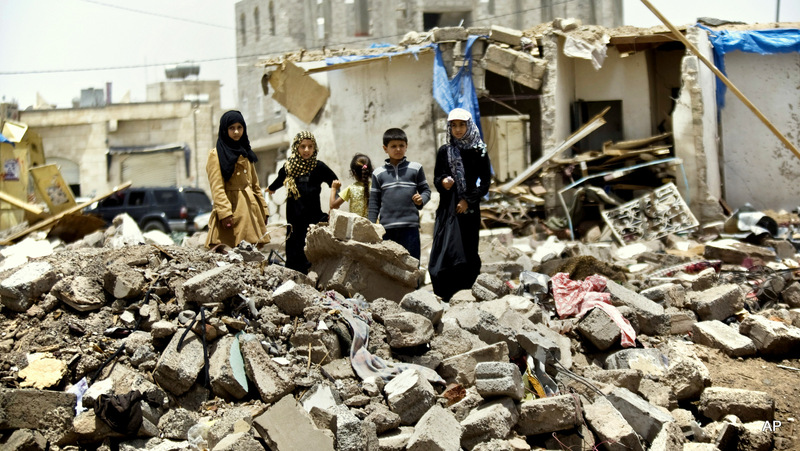 The Euro-Mediterranean Human Rights Monitor calls on all parties to the armed conflict in Yemen to bear the human and legal responsibility, urging the United Nations to exert all effort to hold the perpetrators accountable, and to put an end to the four years of death in Yemen and end the raging poverty and epidemics sweeping the conflict-torn country. Euro-Med Monitor further calls on the international community to have a firm stance on the violations documented in the report of the UN Committee of Experts to pressure all parties involved in the detention and torture of civilians in Yemen to immediately stop the violations committed against them and bring those responsible to justice.